What better way to end the weekend than with a traditional Sunday roast meal. 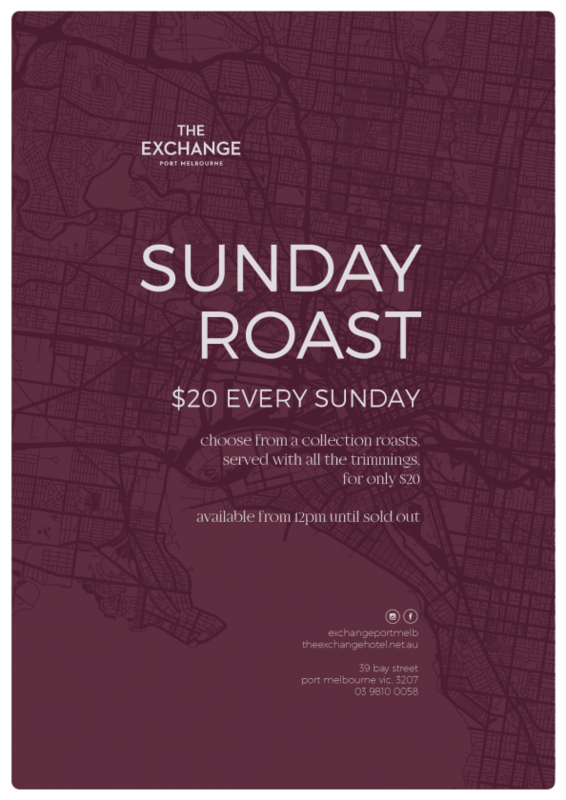 Choose from a collection roasts, served with all the trimmings, for only $20 at The Exchange. Available from 12pm until sold out.